Russian President Vladimir Putin claimed on Wednesday that the Ukrainian government was “displeased” that Russian troops did not kill Ukranian service members detained in the Kerch Strait last month. During his annual end of year press conference, Putin posited that the Ukrainian government sent the soldiers into the Sea of Azov, where the Russians intercepted them at the Kerch Strait before being allowed in, with the intention of inciting Russia to kill them. Last month, Russia seized three Ukrainian naval vessels off the Crimean Peninsula accusing them of illegally crossing waters and sparking a new period of tension between the two countries. 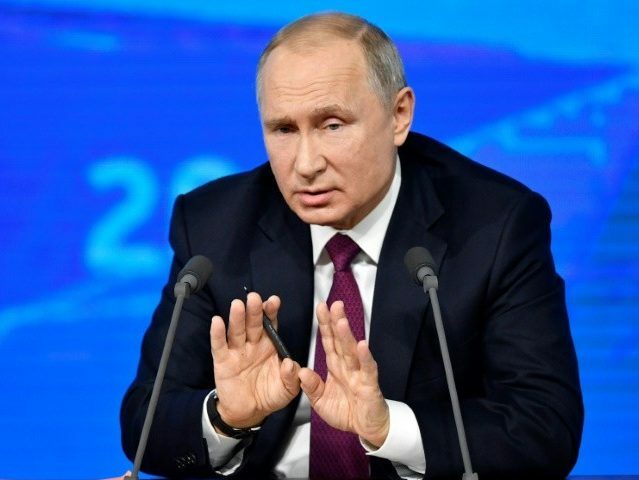 Ukrainian news agency UNIAN asked Putin about Russia’s plans to use the sailors as a bargaining chip in exchange for the release of Russian citizens in Ukraine.